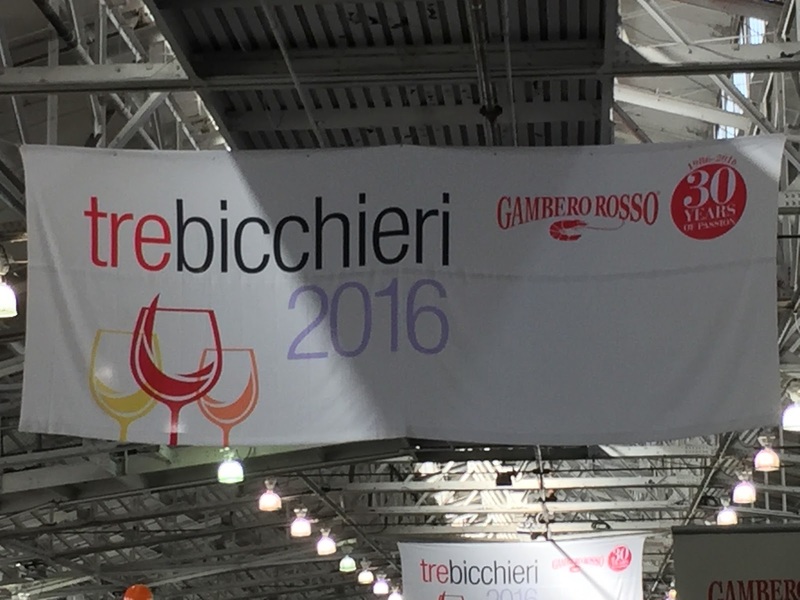 I recently attended the 30th anniversary tasting of the Gambero Rosso which is Italy's major wine review and publication. 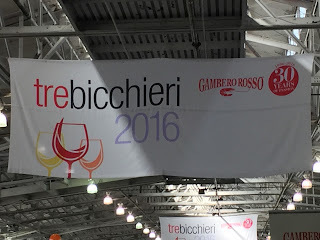 Each wine that was presented was awarded between one and three Bicchieri (glasses) Earning one is a sign of quality within the region and varietal that is produced. Getting three is the highest level of praise and reward in Italy. Every region of the country was represented and all of the wines were at the least excellent. Since there were more than 130 properties pouring I took the road of least resistance and chose 25 estates that either had a type of wine I was interested in or a producer I knew by name or reputation. Even using this criteria it was very complex in that there were many styles of wine making as well as levels of extract. The following are some of my high lights and I hope they can provide you with a small road map of wines to taste in the coming year. Vietti- an important estate of 87 acres and making some of the most impressive Barolo and Barbera. Their portfolio of single vineyard wines is most impressive and they are found at retail in many places in the Bay Area and in fine dining restaurants as well. Bel Colle- a smaller estate which makes a outstanding single vineyard Barolo: Monvigliero '09 and Symposia '11, well worth looking for. Perhaps the most well known area of Italy. The Sangiovese based wines here are stunning. There are several different clones used in different parts of Tuscany which accounts for the difference in flavors you encounter from each part of Tuscany. LAMOLE de LAMOLE- Chianti from Reserva to Grand Selection they are top quality. BRANCAIA- a top quality producer of various grades of Chianti and IGT wines. Imported by Gallo this is a star in their line of imported wines. Well worth looking for at retail. BADIA A COLTIBUONO- Chianti producer of the highest quality. They seem to appear at many trade tastings and are members of Slow Wines another Italian trade association. Well distributed and worth the money for the quality they provide. POLIZIANO- Vino Noble de Montepulciano. This estate makes high end and entry level VN. Classic structure and aromas make this a leader from the area. BOSCARELLI- Vino Noble is another estate (35 acres) which is at the top of the list of quality. From entry level to single vineyard and IGT they all are exceptional. Prices range from $30-$60. CANNLICCHIO DE SOPRA- Brunello at the top of the hill in price and quality. Worth the money to experience. MASTROJANNI- Brunello single vineyard (Loreto) as well as traditional bottles are excellent. MASI- producers of some of the most outstanding wine in Italy. Their Amarone della Valpolicella -Campolongo de Torbe '09 is amazing wine. They have a huge lead in quality in the region. They also bottle some very rare and unique white wine which is also a treat to the senses. Always search out their Amarone. A region rich in sparkling wine. Franciacorta is home to many of the top growers and producers of fine aged Italian sparkling wine. Below are the names of stellar producers. Prices are on the high end but you will enjoy stellar complexity and flavors. DONNA FUGATA- produce the finest dessert wine of the island. Ben Rhye is their tray dried Zibbo (Muscat) that is so fresh and deep you must taste it to believe it. Their whole line of wines are very very good. BAGLIO DE PIANETTO- makes red and white wine from fruit unique to the island. They have earned their spurs and are stars in the quality end of Sicilian wines. I know there are many more to ponder over but these selections represent true quality with scores that were not bought. Italy provides wine drinkers quality wines and prices that more than compete with the domestic market. Treat yourself with a bottle from Italy with a meal you will not be disappointed.